Fever-Tree Citrus Tonic Water is described as a blend of citrus including Mexican limes from Colima and Michoacán, tangerines from Vera Cruz and bitter orange from Yucatán. 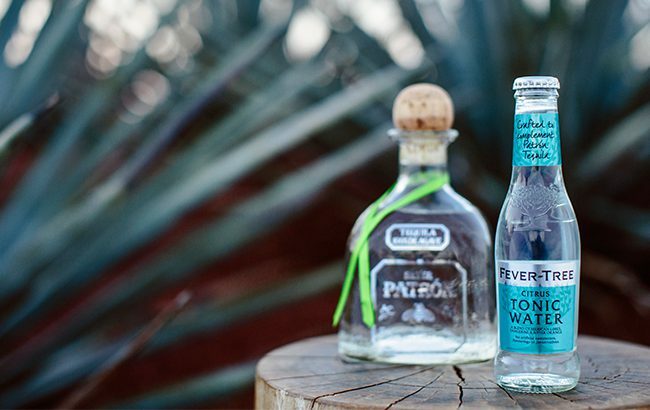 It has been created to “revolutionise consumer thinking when it comes to a Tequila and tonic”. “This is an incredibly exciting collaboration. Consumers are increasingly searching for both authenticity and taste,” said Fever-Tree co-founder Tim Warrillow. Fever-Tree Citrus Tonic Water is available to try in UK bars and restaurants, including London-based Dandelyan, Quo Vadis and Sketch, as well as Hedonist in Leeds, HMSS Bristol and The Edgbaston in Birmingham. It is recommended served in a Tequila and tonic, as well as a Paloma twist or a Patrón and Fever-Tree Highball. It is also available to purchase from 31Dover.com. A 50ml bottle of Patrón Silver Tequila and two 200ml bottles of Fever-Tree Citrus Tonic Water are priced at £7.99 (US$10.40). A 700ml bottle of Patrón Silver Tequila and 24 200ml bottles of Fever-Tree Citrus Tonic Water are priced at £59.99 (US$78).